I've got two ebay paintings planned for this week. I completed this one yesterday, and the second will hopefully be ready in the next few days. After that, I've got to get going on a new commission. There's a good possibility I may have another commission to follow. Still working out the details on that one. If you'd like to bid on this painting, you can access the auction by clicking here. 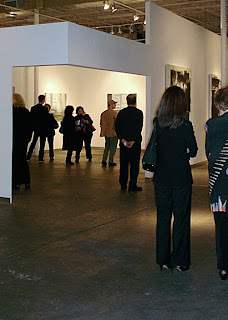 Karen's show went great friday night at Mason Murer Fine Art. There was a huge crowd of art patrons and well wisher's. The paintings were hung beautifully, and looked really great. 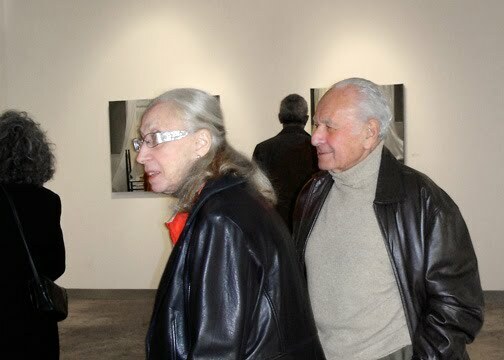 One of the nice things about being part of a gallery show, is that you get to see a lot of people that you don't get to see as frequently as you'd like. A number of our friends attended the reception that night, and it was really great to have a chance to visit. Really great. Jeanie Tomanek and Virginia Parker, who were showing that night along with Karen, also had a lot of fun. I think the consensus was that it was a successful show. Karen and I had one other adventure this past week. The Atlanta Fine Arts League was having a juried show of work by their members, and invited us to be the judges for that event. Following our initial disorientation at having been chosen to do this, we both agreed. Honestly, it was not an easy task, because there were so many beautiful paintings to filter down to first, second and third place. There were so many worthy paintings in fact, that we convinced the organizers to add three Honorable Mentions to the winners. The paintings were on display at the Cobb/Marietta Museum of Art, and awards were given out on Saturday evening. We attended the awards ceremony, which was organized very nicely, and the winners were very happy to have their work recognized. I completed my part of the "small project" I've been working on, but will wait to post about it until the entire thing is complete. I also picked up another commission, and have a couple of new ebay paintings in the works as well. I'll have images of those as soon as they are finished. 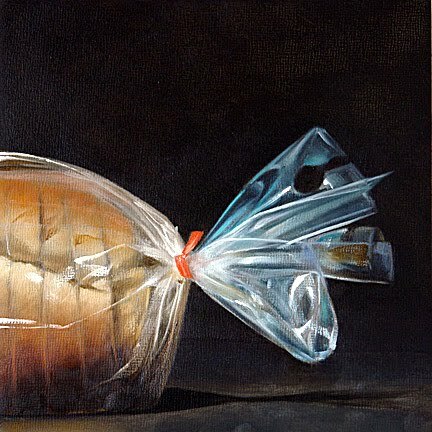 My wife Karen, and our friend Karin Jurick will both be having shows at their respective galleries this friday night. My better half will be showing ten beautiful paintings at Mason Murer Fine Art here in Atlanta. 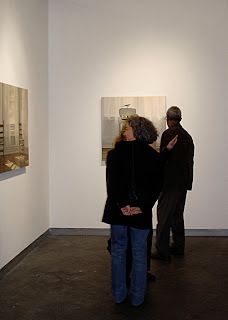 Our friend Jeanie Tomanek will be showing her amazing work that night as well, along with five other artists. It's going to be a fun evening, I'm looking forward to it. 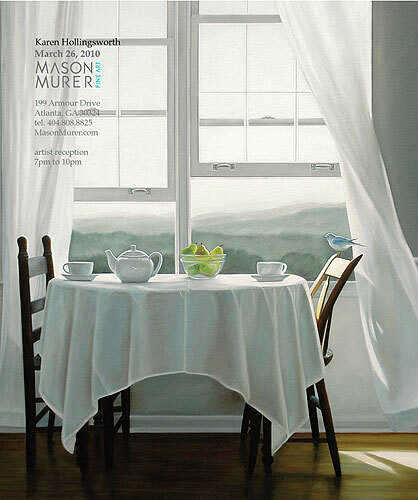 Karin Jurick will be on Hilton Head Island at the Morris & Whiteside Gallery showing 22 new paintings, many of which have already been acquired through pre-show sales. I think this is some of best work to date, but every thing she does is great. She's a genius. As my current paintings were drying between passes I decided to work in an ebay painting for this week. 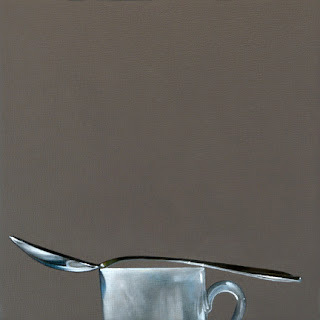 Cups with spoons is one of my more common themes, and the recent mug and book piece made me hungry to do another. This little espresso cup hadn't been utilized in a while, so I thought it would make a good subject for this week. These compositions tend to be monochromatic, but I'm drawn to them their simplicity. If you'd like to bid on this painting, you can take part in the auction by clicking here. This carton of coke bottles will probably be showing up repeatedly for a while yet. 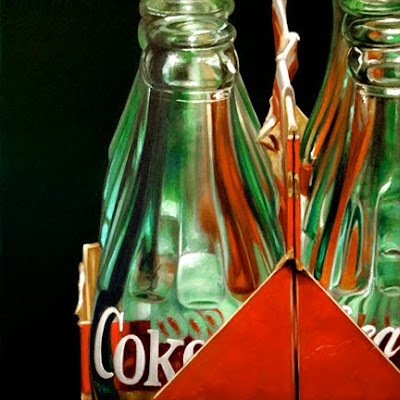 There is something about that green glass, and the red carton that kills me. Especially when the red shows through the glass. Man! I've got this idea in the back of my mind to try one of these bottles really big. Something like 36 x 36, or 24 x 48. I think it could be really cool. 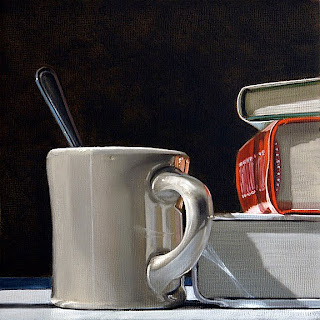 Many of my favorite contemporary realists like Pedro Campos, and Steve Mills commonly work in this size. I wonder if I could do it? Maybe 2010 is the year to go BIG. If you'd like to bid on this painting, you can access the auction by clicking here. I was busy working on one of two commissions this past week, in addition to a couple of new ebay paintings. The commission for the first client was for pool balls, and the second client will be receiving a loaf of bread and a pb&j. Also in the 6 x 6 format. It had been a while since I painted pool balls in a glass bowl, and it was nice to visit them again. I hope to have the next ebay piece ready to go up on thursday, and the second commission paintings should be ready to be posted sometime next week. I also have another small project coming up in the next few weeks, more about that later. My plan for this week was to work up another five ebay paintings, but I landed a couple of small commissions just as I was getting started, and this is the only piece I had time to complete. This image was created on a trip to Inlet Beach Florida a year or so ago, and it's been in the back of my mind to paint ever since. My original intent was to do it as a 12 x 12, but I figured I'd try it out on ebay first, and see what kind of response it gets first. The complete photo reference includes all of the books, and a pair of glasses as well, but I thought this told most of the story. If you'd like to bid on this painting, you can access the auction by clicking here.